The central government might have the plan, but it needs the provinces to execute it. At the Chinese Communist Party’s Fifth Plenum meeting last month, officials presented a draft of the country’s Thirteenth Five-Year Plan (FYP) – the first one developed under President Xi Jinping –outlining China’s key economic and social policy goals for the next five years. There were discussions on advancing the rule of law, continuing urbanization efforts, positioning innovation and technology as future drivers of growth, deepening financial markets, and promoting “green” growth. There is little reason to doubt that the latest policy aims are realistic, but whether Chinese leaders can successfully implement these national goals throughout the country will depend on the aggregate efforts of the local governments that are charged with turning the Plan’s broad aims into concrete results. China’s policy structure is actually quite fragmented. Beijing can set the agenda, determine policy, and decide fiscal allocations, but provincial and local governments are ultimately responsible for policy implementation, and have some autonomy to adjust policies as needed. Next March, after the National People’s Congress formally approves the 13th FYP, localities, as well as government ministries, will promulgate their own sub-national and issue-specific FYPs – covering, for example, solar energy, robotics, and environmental protection – serving as their own roadmaps in carrying out the goals set forth by the central government. Historically, local success in implementing these more detailed plans has been variable. This reflects the fact that provinces differ in relative power, motivation, and opportunity to comply, or not comply, with central policies. The result is the central problem in Chinese policymaking: that localities often ignore or avoid compliance with central government regulations that the localities, or those in charge of certain localities, see as at odds with their interests. The popular phrase “shang you zhengce, xia you duice,” or “the higher-ups have policies, the lower levels have countermeasures,” perfectly captures the friction between central and local governments. This is particularly true of policies that seek to shift China’s economy from investment-led growth to a more environmentally sustainable and socially equitable model based on domestic consumption and high value-added production. Xi’s well-documented efforts to centralize decision-making under his direct leadership – which include personally leading discussions on the 13th FYP, traditionally the premier’s responsibility – are unlikely to smooth out this variability in local policy implementation. As we saw with the stock market meltdown over the summer, centralization has its limits. In a recent article in the Journal of Contemporary China, Orion Lewis and I tackle this question using both quantitative analyses and local case studies. We find that the extent of local policy implementation during the Eleventh FYP – in this case energy conservation and emissions reduction measures, a critical policy area – is a function of three political and economic factors: regulatory autonomy, regulatory capacity, and economic interests. We conclude that provinces that are more autonomous from Beijing exercise more direct control over the local economy, and where there are more influential local economic interests perform more poorly implementing central policies. This is true even when there is a high degree of central emphasis or there are considerable local resources available to implement the policy. While our results cover the period 2005 to 2010, there is at least preliminary evidence that similar factors are at play during the Twelfth FYP period, in effect undermining China’s real efforts to implement policies ranging from reducing pollution to checking the expansion of the shadow banking sector. These factors will remain in play for the 13th five-year period. This has important implications for China’s central planners, as well as for analysts and policymakers hoping to predict China’s success in achieving its goals for the 13th FYP period – or the likelihood of success in specific localities. If Beijing can adjust provincial preferences or levels of autonomy, it may be able to better ensure central policies are followed. 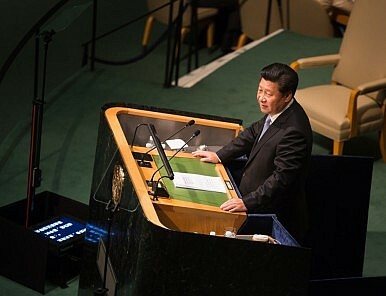 In fact, stronger signals about certain policy priorities – environmental protection, for example – from top leaders, combined with efforts to rebalance evaluations of government officials’ performance and increase the costs for noncompliance – namely through Xi’s aggressive anti-corruption campaign – may help rebalance incentives in Beijing’s favor. That is not to say that Beijing always has the right answer. Local-level policy entrepreneurship, originating both from government officials and from non-governmental actors, is a crucial source of new policy ideas in the Chinese system. Successful grassroots policies have in the past been expanded to the whole country, and even been adopted into future FYPs. But China’s central planners will have to balance the need for local governments to adhere to central policies with the need to allow local leaders the flexibility to adapt policies to local conditions and continue to experiment with new approaches. China’s 13th FYP will be an important test case for China’s approach to policy planning, and more importantly, policy implementation in the complex reality of governing a continental nation. Tucker Van Aken was a 2012–13 Fulbright Fellow based in Chongqing, China, where he researched firm-state relations and local policy implementation. He is currently a director at Albright Stonebridge Group, a commercial diplomacy firm, where he focuses on corporate strategy in China. Policy stability will be a key focus of both China’s government and central bank ahead of the 19th National Congress.